HTML Content in FooBox – Cool! To bring visitors face to face with the wonder of history and the thrill of celebrity by providing a significant collection of life casts to foster knowledge, understanding, and appreciation of mankind's place in time and history. To develop local and national ties by honoring individuals who "make a difference" in their community. At the age of twelve, during a visit to Washington, D.C., I was impressed by the towering, larger-than-life statues honoring our nation's history. Although nowhere near the scale of these monuments, one single object absorbed my total attention and made a lasting impression. This artifact, on display inside a small museum in Ford's Theatre, was a life cast made directly from the face of President Abraham Lincoln himself. I clearly remember my train of thought as I pondered this life cast of Lincoln. My first impression was total wonder: this artifact was not a sculpture at all, but a cast of Abraham Lincoln's face, taken directly from the man himself. As I stared face to face at our 16th President, I felt as if I had defied the laws of time. Next, scrutinizing the details of Lincoln's face, I had the urge to touch the cast. Clearly this life cast was delicate and singularly significant; touching it was out of the question. 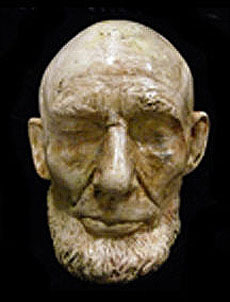 Finally, I began wondering, "What if I had no sight and had the opportunity to touch Lincoln's life cast? Would I feel the way I do now, as a sighted person?" My questions went unanswered for decades. Now, as then, we live surrounded by media -- magazines, newspapers and TV broadcasts -- that constantly present us with two-dimensional images of people, places and things in our world. Through the centuries, such representative images have evolved from illustrations to photographs to videos. Each medium depicts these images in flat, two-dimensional perspective. 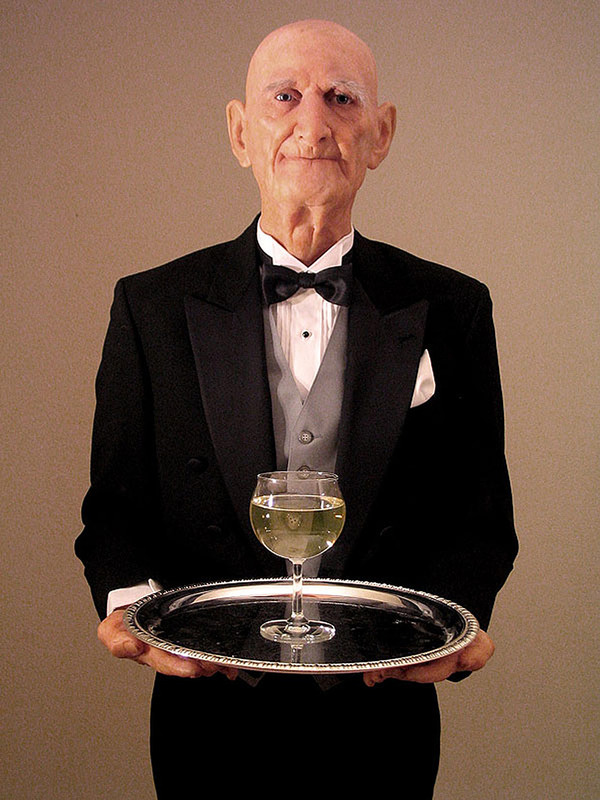 Now, imagine stepping back in time and encountering an actor or historical figure that died before you were born. Newton...Napoleon...Abraham Lincoln! But for life casts, and the art of life and death masks that have been created over the centuries, such an encounter could never take place. We at the International Life Cast Museum hope that all that enter these doors have many wondrous -- immediate -- encounters with celebrities and newsmakers throughout history, to the present day. You will have your own audience with Kings and Presidents, your own encounter with Czars and Popes. You can even create your own life cast at the Museum. And you might find that staring back at it may be the strangest encounter of all! I hope to witness first-hand the answer to the question I asked myself that day in Washington. For the visually impaired, Braille, oversized text, special lighting, and the accessibility to touch copies of the casts, we trust that the experience of an immediate encounter will be as magical for all who visit, as it was for me, so many years ago. The initial thought of taking this private collection and displaying it as a museum came from the understanding that these artifacts have very tactile qualities and many of them can easily be duplicated due to the material they were created in. Copies allow a museum visitor to touch them. By incorporating touch copies with Braille and designing the space to be easily accessible for the visually impaired, we will strive to be a first-class example of how a museum can be fully accessible to those who are handicapped. The International Life cast Museum has been working with the Perkins School for the Blind of Watertown, MA on several levels to refine this specific mission. Valuable advice has been sought regarding lighting; font size of exhibition text, tactile maps and gallery books in Braille, and room design. The school will be of service to the museum by generating the Braille labels that will be utilized by our facility. We have also had the opportunity to help blind students at Perkins create hand casts in their art classes. It has been very rewarding to witness the enjoyment the students feel as they touch their hand casts for the first time. With the passage of time we hope these moments will be witnessed many times over within the museum. The initial thought of taking this private collection and displaying it as a museum came from the understanding that these artifacts have very tactile qualities and many of them can easily be duplicated due to the material they were created in. Copies allow a museum visitor to touch them. By incorporating touch copies with Braille and designing the space to be easily accessible for the visually impaired, we will strive to be a first-class example of how a museum can be fully accessible to those who are handicapped. The International Life cast Museum has been working with the Perkins School for the Blind of Watertown, MA on several levels to refine this specific mission. Valuable advice has been sought regarding lighting; font size of exhibition text, tactile maps and gallery books in Braille, and room design. The school will be of service to the museum by generating the Braille labels that will be utilized by our facility. We have also had the opportunity to help blind students at Perkins create hand casts in their art classes. It has been very rewarding to witness the enjoyment the students feel as they touch their hand casts for the first time. With the passage of time we hope these moments will be witnessed many times over within the museum. Although there are several private collections of life/death masks around the globe, there appears to be no other non-profit museum devoted to this art form. With a rich history dating back to Roman-Greco Era and the current undergrowth of artists working with this craft, we feel a sense of responsibility to promote the present and educate about the past. 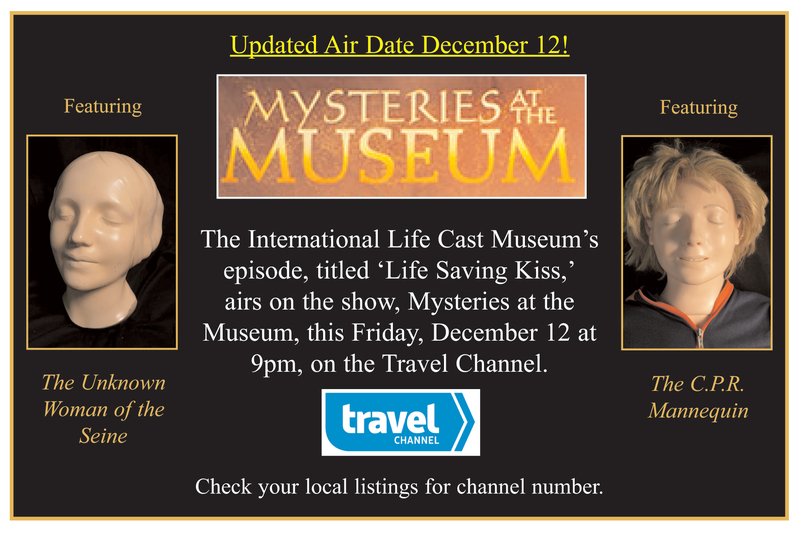 Why Are We Called The International Life Cast Museum? We hope this website will be a good resource for those working in this industry around the planet. We have established a Virtual Gallery allowing life-casters the opportunity to promote their work to a worldwide audience and link their own websites to ours. There is also a Virtual Library of technical articles along with material on safety tips and a glossary of technical terms that will benefit those creating life casts. We have provided a directory of Worldwide Life Cast Suppliers so that artists can find suppliers in their area and a directory of Worldwide Belly Casters so expectant mothers will be able to locate casters within their area. As our International community grows, it gains strength through the experience of others within our technical Forum. This International resource contains such categories as mold making and finishing, along with health, legal, and moral questions. Like the Virtual Gallery, the Forum also has a category artists can use to promote future exhibits along with their new work, whether it is works in progress, finished pieces, or videos. Our future permanent home will have a Fine Art Gallery of body casts representing the works on our International body of artists. It will also have a Nature Gallery featuring an oversized map of the world. Attached to it, many strategically placed International life masks will represent the country from which they are from to create "Our Family Tree". Our International theme continues with the History Gallery, in which there are many life and death masks of world leaders including Mao Zedong from China, King Ludwig II from Bavaria, Pope Pius IX from Italy, Napoleon Bonaparte from France, Oliver Cromwell from England, and Vladimir Lenin from Russia. We will also provide orientation brochures in many languages for our "in-house" tour of the museum along with multi-lingual self-guiding audio devices. Everyone has the opportunity to help us to build this museum. From the nickels and dimes raised by school children looking to see history come alive, to the large sums donated by corporate sponsors seeking to give something back to the world community. Every donation both large and small will help us to build a home in which to permanently house this unique collection of historical and entertaining artifacts.